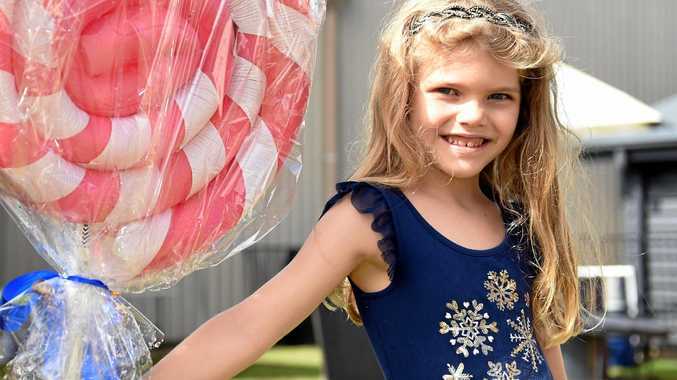 CAMERON Frewer's widow refuses to let tragedy stand in her family's way as her three children gear up to take part in this year's National Ride2School Day this Friday. 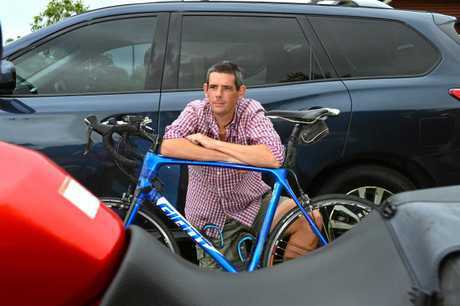 It comes almost five months after the cycling safety advocate was hit and killed while riding on Caloundra Rd. Catherine Frewer says the tragedy of losing their father won't stop her kids - Lachlan, Oscar and Heidi - from the activity they love. "He would be so proud. We were always riding with the kids, he was such a good dad," she said. "They would love it. 'Dad's coming with us'. It's just a great way for families to get about, rather than sitting in a car and getting caught in traffic." She said she hoped more families would take up riding to school or work to make a positive impact on the environment while staying fit and healthy. "One more bike is one less car," she said. "And it just gets the whole family out. I think it's great that we have this Ride2School day to get those parents to get their kids to get on their bikes, especially where we live. "Just enjoy the area that we're living in. Leave your car at home and enjoy the ride." 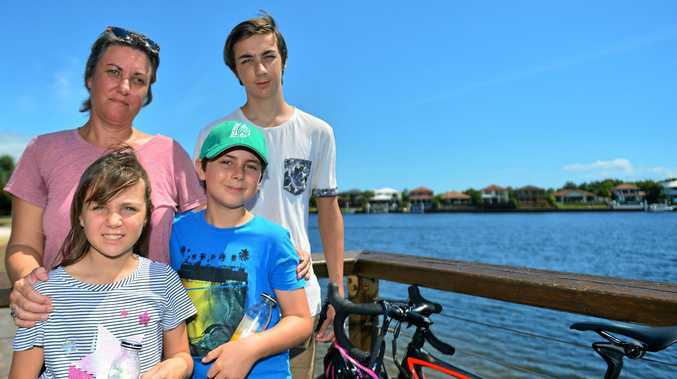 Bicycle Queensland is calling on parents to also gear up and get their kids riding to school, and say the activity can be made safer if more parents made the journey alongside their kids. As few as 8 per cent of kids ride to school in Queensland, a figure the state's peak organisation for cycling would like to double. CEO Anne Savage said riding a bike was a great way for the whole family to get fit, stay active and feel connected with the community. "We've all heard the statistics - we're not as healthy as we could be - and it's costing us our happiness," she said. "More kids on bikes is one of the best ways to guarantee lifelong health and fitness for our next generation. The time is now to inspire their growth and development." Do you ride your bike to school or work? Yes, it's a great way of keeping fit. I would if the roads were safer. "Cycling is one of the easy keys to creating fitter, happier and better-connected communities," she said. "There has never been a better time to get back on our bikes, ditch the car, reduce congestion, and bank family savings for a beach holiday." The 2017 National Cycling Participation Survey indicated a resounding majority of Queenslanders wanted to see stronger investment in bikeways (67 per cent), and better connections between bike paths and schools, shops, pools, and parks. A total of 59 per cent of Queenslanders also called for more on-road bike lanes. Bicycle Queensland is also urging schools and students statewide to submit entries for Bicycle Queensland's Cameron Frewer Road Safety Education Bursary and go in the running to win one of six $250 bursaries. For more information visit bq.org.au/programs/the-cameron-frewer-road-safety-education-bursary.